The colony is racing to complete its deep drilling project on the shoulders of Olympus Mons to tap the underlying heat of Mars for power generation. When an unexpected underground cavity collapses, a devastating quake damages a number of the buildings in the colony, most vitally some of the greenhouses in which food is grown. Brad Strickland is also the author of Aladdin's Pirate Hunter trilogy as well as many middle-grade novels based on licensed properties, including Are You Afraid of the Dark? and Star Trek. The late Thomas E. Fuller is the author, with Brad Strickland, of Aladdin's Pirate Hunter trilogy. 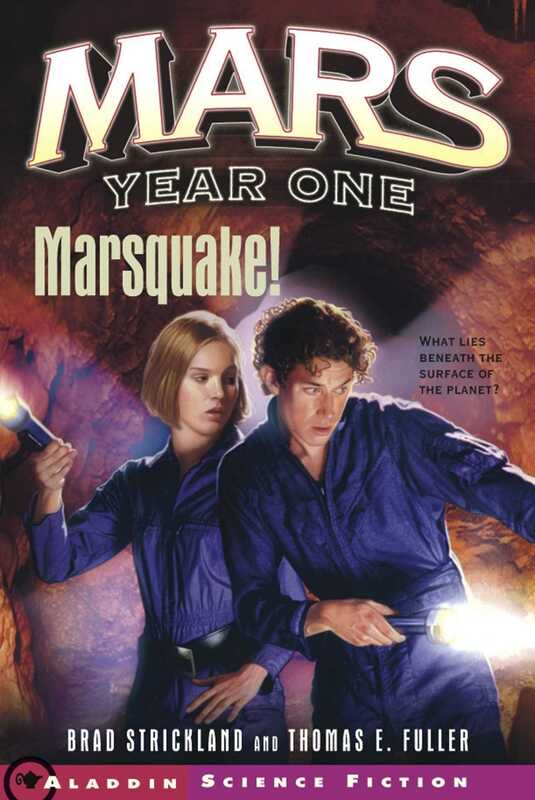 Book Cover Image (jpg): Marsquake!